Working for Better Treatment. Working for a Cure. For 2014, the National Cancer Institute’s budget was $4.9 billion. Of that, all types of childhood cancer research were allocated just 4% or $195 million. While treatment options develop slowly, the incidence of cancer in children has jumped. Approximately 85 kids are diagnosed with childhood brain cancer weekly, or approximately 4400 children per year. This mismatch is the point of impact for Smashing Walnuts. For 2014, ALL types of childhood cancer research were allocated just 4% of the National Cancer Institute’s budget. 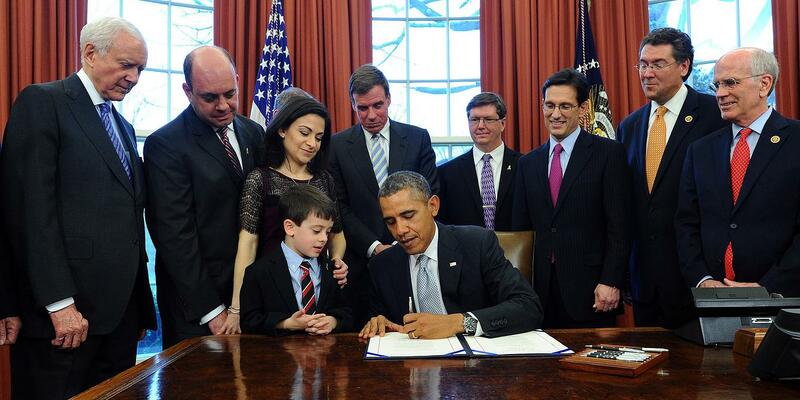 In April of 2014, the Miller family watched as President Obama signed, “The Gabriella Miller Kids First Research Act.” The law officially ended taxpayer contribution to the Presidential Election Campaign Fund and launched a pediatric research initiative through the National Institutes of Health (NIH), appropriating $126 million, over the next 10 years, to childhood disease research. Ellyn Miller of Smashing Walnuts, Gabriella’s mom, is a regular on Capitol Hill working with our elected officials to insure the Bill will be funded each and every year. Smashing Walnuts works with staff in the House and Senate to mould the language of the bill with the mission to drive NIH funding of Childhood cancer and other diseases. Smashing Walnuts maintains a relationship with Dr. Francis Collins, director of NIH, and remains influential in the process of spending the funds from the bill. Smashing Walnuts funds childhood brain cancer research. Research means progress, and progress is a promise for a better outcome in the future. Biological research and preclinical testing can identify and validate new therapeutic targets for childhood brain cancer. But it takes funding. 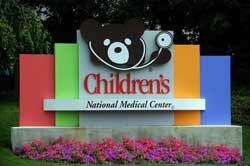 Sources of funding for childhood cancers, including pharmaceutical companies and the National Cancer Institute, fall short for children. Even American Cancer Society donations yield less than 1 percent for childhood cancer research. Lack of funding doesn’t mean there is no cure. Gabriella Miller, the 10-year old founder of Smashing Walnuts, was frustrated with the funding gap. When she famously swore in a video interview (then giggled at her audacity), it was a fitting moment and a call to action. Smashing Walnuts also provides grants for specialized research into childhood brain cancer. The Miller family, who founded Smashing Walnuts, donated their daughter’s brain to Children’s National Medical Center, followed by a research grant funding two years of research. Discoveries made as a result are already garnering international attention.